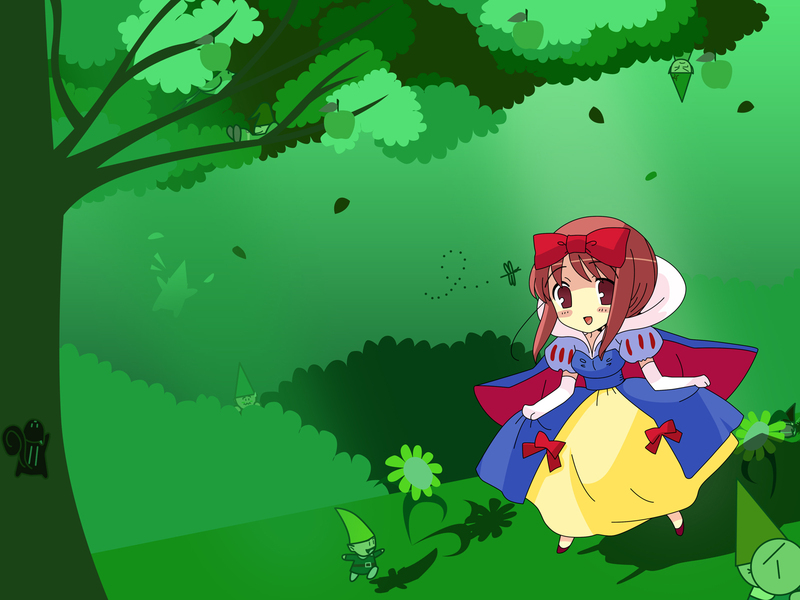 Anyways, I started vectoring that cute Mikuru scan I found somewhere (I think it was from baka-tsuki.net) and decided to draw some flowers around... then I went with the tree (with apples of course) Then some light and animals here and there. So that's it. I wanted to use green tones only for some mysterious reason. I think it makes the character stand out. I remember the older Mikuru making a referance to Snow White.